Washington, D.C., March 15 – As the economy expands, for the first time in decades people with disabilities are gaining jobs, success and independence. According to new data, 6,993 more people with disabilities in Pennsylvania became employed. People with disabilities have previously been left out of periods of economic growth, today’s workforce system is better aligned to enable people with disabilities to succeed, just like anyone else. Governor Wolf has shown his dedication to his executive order in the past two years. 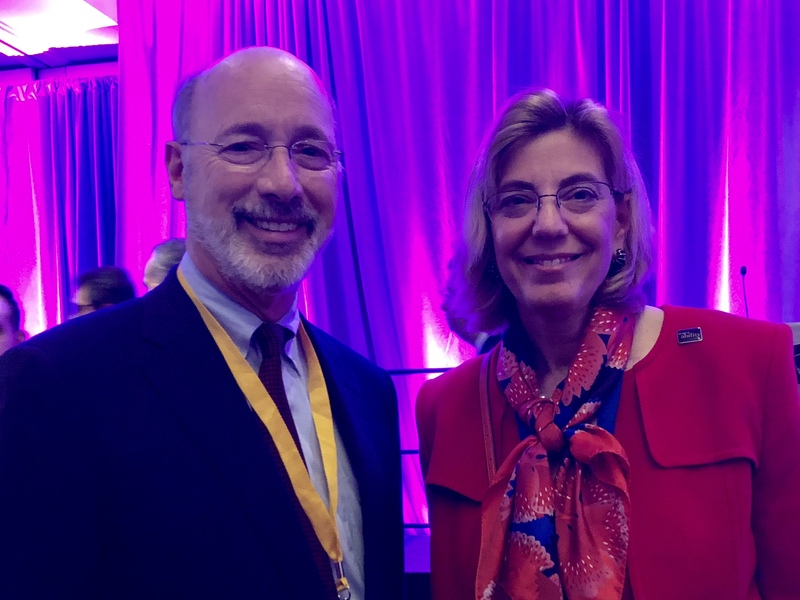 Following the Employment First order he approved an action plan, holding his administration and entire state accountable to improving the opportunities for Pennsylvanians with disabilities. Pennsylvania now offers “experience the employment connection” sessions where all attendees learn to work collaboratively with agencies to provide employment opportunities for people with disabilities in their talent pipelines. The state has also partnered with CVS to provide a training program with a direct link to employment. According to RespectAbility, a national organization that fights stigma and advances opportunity for people with disabilities, Pennsylvania now ranks 31st on jobs for people with disabilities. In total, there are 909,897 working-age people with disabilities living in that state and 323,354 of them have jobs. With an 12 percent employment rate for its people with disabilities, Pennsylvania now out ranks many states in the country as a place for people with disabilities to be employed. Governors have a critical role to play as the economy grows and state advance opportunities for citizens of all disabilities. Former Governor Jack Markell of Delaware is a model of what a state chief executive can accomplish by making jobs for people with disabilities a key priority. As Governor, Markell chaired national initiatives with both the National Governors Association (NGA) and later the Council on State Governments (CSG). Both the Better Bottom Line Initiative of the NGA and CSG’s Work Matters Report focused on fighting stigmas, supporting strong public policies and using best practices at the state level. RespectAbility, like most governors and employers, emphasizes the critical link between education attainment and workforce development. “Employment rates only tell part of the story,” said Philip Kahn-Pauli, Policy and Practices Director at RespectAbility, “Educational attainment is critical to the success of youth with disabilities because the jobs of the future require technical education and skill training.” Pennsylvania had an overall high school graduation rate of 86 percent in 2016, but only 74 percent of the students with disabilities graduated. That puts Pennsylvania students with disabilities behind other minority students who graduate high school at higher rates.